On March 23, Advanced Energy Economy Institute (AEE Institute) hosted California gubernatorial hopeful Delaine Eastin for a roundtable session with AEE member companies in San Francisco. The former State Superintendent of Public Instruction shared her vision for maintaining California’s leadership on climate and energy issues, nationally and globally. Eastin underscored the imperative for long-range planning, and reiterated her commitment to ensuring continuity for the state’s critical advanced energy investments and programs. Last Friday, Gov. Jerry Brown set another ambitious and significant marker for California: 5 million zero emission vehicles on the road by 2030. As previewed in the governor’s final State of the State speech the day before, his Executive Order calls for substantial investments in electric and fuel cell vehicles, along with the necessary infrastructure to fuel and charge them. Transportation is the next frontier in building California’s advanced energy economy, and with this action, Gov. Brown has taken a big step forward. What does 2018 hold for advanced energy? Plenty, when it comes to federal and state policy issues that could make or break business prospects for advanced energy companies. I hope all you advanced energy advocates are well rested, as the new year is going to be a busy one! Here is what we at AEE see on the policy horizon, with some opportunities – and battles – coming sooner than you’d think. 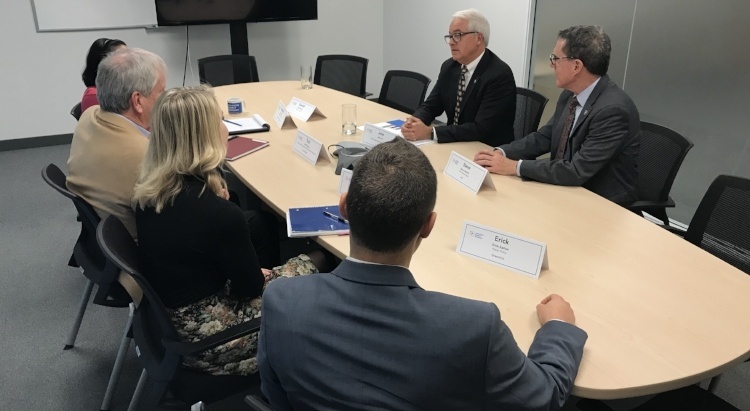 On December 7, Advanced Energy Economy Institute hosted California gubernatorial hopeful John Cox for a 90-minute roundtable session with AEE member companies in San Francisco. Cox, a Republican from San Diego, spoke about his plans to limit the impact of special interests in Sacramento and attract more businesses and investment to the state. The roundtable was the third in a series of meetings with the leading candidates for governor. Through these roundtables, we hope to learn more about each candidate's vision for the state, and we hope they will learn more about the advanced energy industry that’s growing in California. 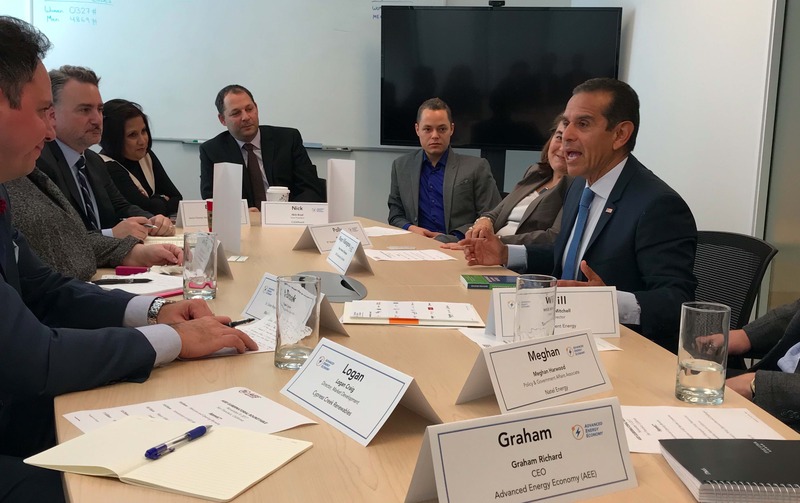 On Nov. 9, Advanced Energy Economy Institute hosted California gubernatorial hopeful Antonio Villaraigosa for an engaging roundtable with AEE member companies in San Francisco. Coming fresh off a speaking appearance at the Los Angeles Cleantech Incubator the day before, Villaraigosa was energized, and spoke about the opportunity and need to expand advanced energy business growth in all parts of the state. The roundtable was the second in a series of meetings with all the leading candidates for governor over the next few months. Through these roundtables, we hope to learn more about each candidate's vision for the state, and we hope they will learn more about the advanced energy industry growing in California. Advanced Energy Perspectives is AEE's blog presenting news, analysis, and commentary on creating an advanced energy economy. Join the conversation!